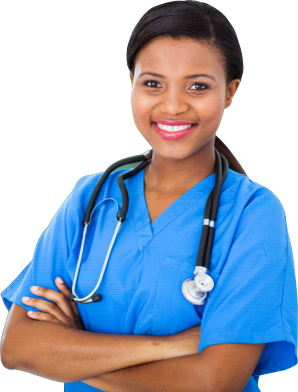 Our Practical Nursing Program at Renaissance Health Institute provides students the knowledge and practical experience to work as a Practical Nurse. The curriculum includes legal and ethical responsibilities, communication and interpersonal skills, administrative and clinical duties, healthcare concepts, emergency procedures including CPR, safety and security procedures, medical terminology, anatomy and physiology, pharmacology, geriatric, pediatric, maternal/newborn nursing, and medical-surgical nursing. Classroom and clinical experiences are incorporated into the curriculum. The Practical Nursing Program is designed to prepare the students to be part of the healthcare team, to teach the students how to provide quality care to the patient, to provide the theoretical knowledge and clinical instruction necessary, to offer quality and affordable education, and to prepare students to provide nursing care in assisted living facilities, hospices, physicians’ offices, hospitals, and home healthcare. Upon completion of the Practical Nursing Program, graduates will be prepared to sit for the NCLEX-PN examination in order to achieve licensure as a Practical Nurse. Graduates who have earned a license will be able to seek employment as Practical Nurses in assisted living facilities, hospices, physician offices, and home healthcare. At Renaissance Health Institute, we have highly qualified faculty team composed of 4 ARNPs and 2 Medical Doctors who are able to provide excellent training in the LPN Program. We also have state-of-the-art hands-on laboratories to provide students with adequate clinical experience. To learn more about entrance/admission requirements and course outline, please click here. For inquiries, contact us at 561-900-8696.